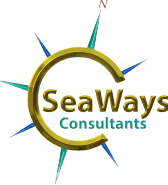 There is no question that professional training such as SeaWays programs is an investment that delivers positive outcomes to a company’s bottom line. Clients regularly inform us that their fuel consumption decreases in the order of 20% following the training. Understanding and having the skills to utilise correct towline lengths to ensure ‘effective bollard pull’ during towage operations. Understanding the effects of a ship’s Low Under Keel Clearance during towage. Having the knowledge of where the ship’s pivot point is during different phases of a towage movement and turning levers in relationship to tug location. Instinctively easing engine power on and off. What causes excessive cavitation vibration and how to avoid it. This has a significant impact on long-term maintenance of all the tug’s machinery particularly seals and bearings in the drive chain while increasing fuel consumption and decreasing bollard pull. By utilising the tug more effectively towage movements take less time. Time is important as most of the Plan Maintenance is linked to engine hours as well in relation to crew fatigue hours. Significant decrease in repair cost related to damage caused by avoidable incidents. The protection and on-going development of a company’s reputation in the market place. In the event of a serious incident being able to prove Compliance & Competency to a Marine Court of Inquiry, authorities, clients and or insurers. The kudos, solace and commercial advantage this type of training structure has with pilots, harbourmasters, clients and authorities of having an independent internationally acclaimed professional training provider overseeing the company’s tugmaster training. 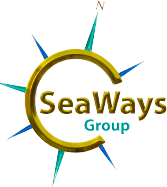 NB: Via its highly refined and structured training programs SeaWays has built its reputation on training tugmasters to what we believe is the highest of industry standards of Best Practise. This is achieved in approximately half to one third the time others take to achieve lesser outcomes. This fact in itself has considerable savings to a company’s training budget.